Holiday Guests? Let us help! If you’re not aware that the hospitality at the Roadhouse Restaurant and Inn extends to sleepovers, it’s time you knew! We are known in the area for our delicious food and warm, friendly atmosphere, but not as many people realize that there are 6 rooms here at the Inn to help with your out-of-town guests during the holidays or any time! Your guests will enjoy clean, smoke-free rooms, comfortable bedding, convenient amenities, and the same responsive service you would expect from the Roadhouse staff. There are 6 rooms to choose from, each with its own personality and unique features. Some rooms are spacious suites with enough room to stretch out and relax, while others are cozy and perfect for those on a budget. All of our rooms boast high quality hotel beds, handcrafted soap, and docking stations to charge and listen to music, and with prices ranging from the economical Patterson Room at $80.00 a night to the Snoqualmie River Suite or Raging River Suite at $125.00, there’s a room for everyone! Each of our rooms has historic charm as well as modern-day amenities. Since 1931, when the rooms were built onto the restaurant to house local schoolteachers, renovations and improvements have allowed us to preserve the magic and ensure comfort and usability. While you’re in the area, we encourage you to take advantage of the local beauty and activities that are easily accessible. For nature lovers, 270-foot Snoqualmie Falls, The Summit at Snoqualmie ski facility, and the Fall City Floating launch site on the Snoqualmie River are nearby and invite you to explore and breathe in the beauty of the stunning Northwest landscape. Whatever the season of your visit or that of your guests, there is a way to spend time in the great outdoors just a few miles from the Inn. If you’re feeling lucky during your visit, and maybe you’ve already had your fill of mountains and rivers, drive just a few minutes to enjoy a one-of-a-kind gaming and entertainment experience including slots, table games, and comedy and musical shows at the Snoqualmie Casino. Whether you have out-of-town visitors for the holidays or you’re looking for a quiet, local getaway yourself to escape the season’s hectic pace, consider reserving a room for a night or two, and let us treat everyone to warm, welcoming hospitality with amenities that soothe and rejuvenate. 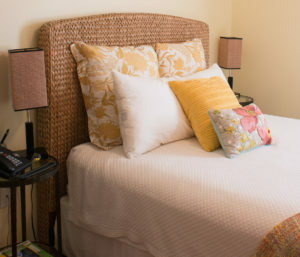 It’s easy to book on our website and make holiday plans for charming accommodations!